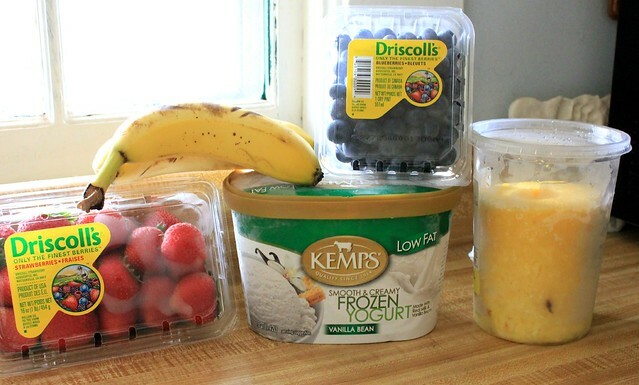 Fun Fruit Smoothies with Kemps Frozen Yogurt! Judah is an extremely picky eater. Now that he is a toddler I have to start stepping up his nutrition without fighting him to eat. Begging won’t work and bargaining is a tricky practice, so I’ve got to get creative if I want to make sure he gets the amount of fruit he needs. He loves bananas, but that’s about it. Do you want see how I add creativity and a little fun to snack time? With the help of Kemps Frozen Yogurt, I’ve found a great way to make eating fruit a treat that kids can look forward to! I got everything I need at Bi-Lo, and you can check out pictures from my trip in my Google+ album. Everybody loves smoothies, right? They’re tasty, simple and easy to make in large batches to store for later. 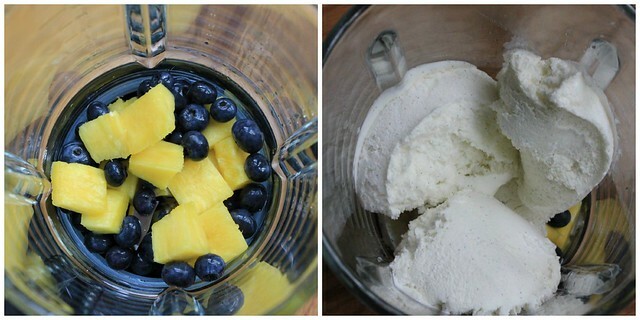 I’m going to show you how to make two different fruit smoothies that Judah loves using Kemps Frozen Yogurt. This brand is new to me, but I love that it is made with natural ingredients like real milk, cream and vanilla beans. It tastes great and is low in fat! That’s it! Super simple. If you don’t have a blender you can chop up the fruit really fine and mix it with a large spoon for a chunkier alternative. The first thing you have to do is cut and wash your fruit. 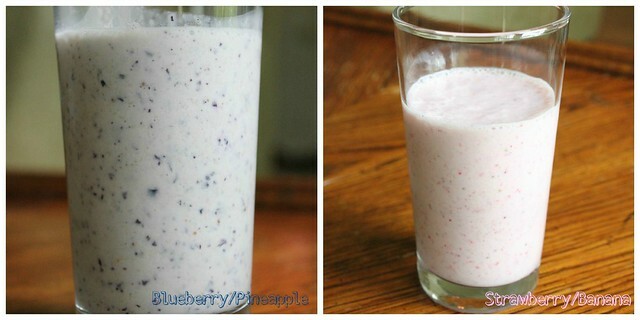 I chose to make a blueberry/pineapple and a strawberry/banana smoothie. 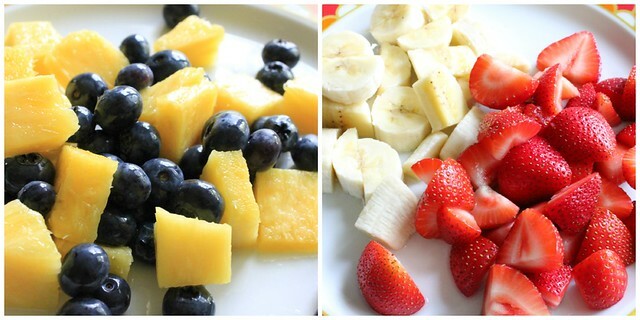 You can use any fruit you want. The ones I chose (besides banana) are fruits I have the hardest time getting Judah to eat. Next drop the fruit in your blender. I let Judah do that, and he loved that he got to help. 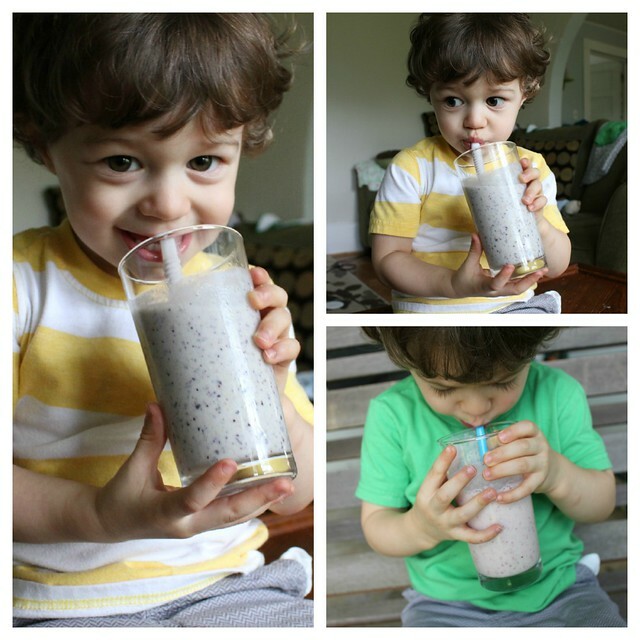 Judah loves drinking the smoothies, and I love that they are packed with fresh fruit. His favorite is actually the blueberry/pineapple one, and he always refuses those fruits when I try to get him to eat them. 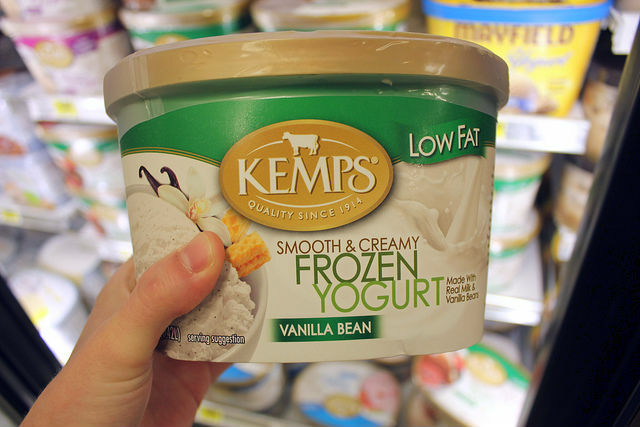 The flavors go very well with each other and the Kemps adds a creamy base that ties it all together. This is going to be a favorite snack in our house for years to come! Want to learn more about the Kemps brand? Head over to their website. You can also visit them on Facebook and Twitter. Have a great day!